Antioxidant Cleansing Milk – 125 ml/ 4.2 fl oz. 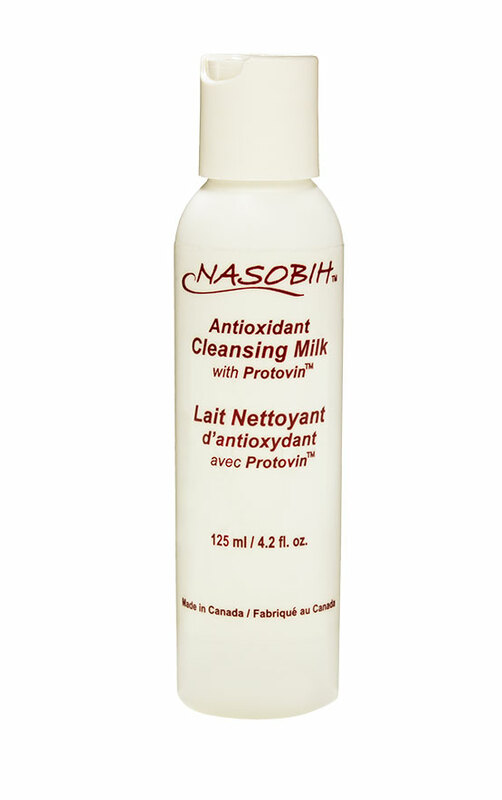 $20.50 | Nasobih | Nasobih Naturals Ltd.
A paraben free cleanser that gently removes make-up and impurities from your skin. Formulated to provide antioxidant protection to all skin types. Apply to face morning and night, rinse, then pat dry. Apply Nasobih herbal toner followed by Nasobih Nutra-Cream for spectacular results. Nasobih ™ is the first and only anti-aging system scientifically proven to make you feel healthier and look younger. The remarkable synergy of topical and ingested grapeseed plus resveratrol prevents and treats many diseases. Your internal health needs the right nutrients to function effectively and keep you feeling healthy. Just as nutrients are needed for your body, they are also needed to keep your skin healthy and younger looking. They slow the aging process - so you look as good as you feel. Aging versus Anti-Aging, The Battle is ON!